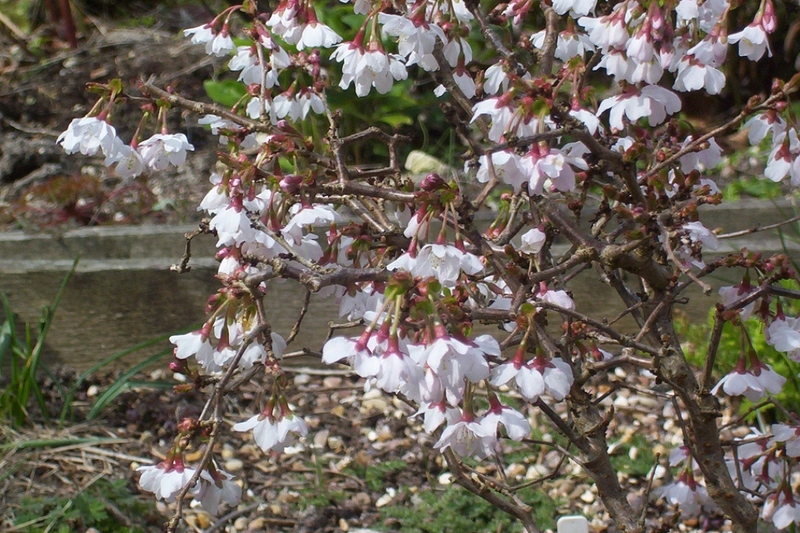 Fuji cherry (Prunus incisa 'Kojo No Mai'): growing, planting, caring. A dwarf cultivar - easy to grow. 'Kojo-no-Mai' is a cultivar suitable for the very small garden as it can be kept to a maximum size of 1.5–2 m (5–7 ft). In a large pot it will produce a dome of twiggy growth, and has the added bonus of brilliant autumn colours. 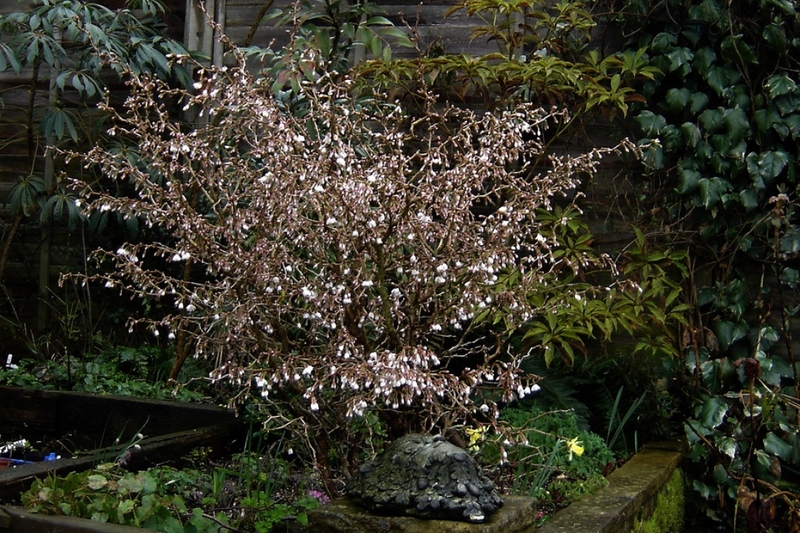 Small deciduous tree, with toothed leaves, elliptic, blooming in March-April, white or pink. In the open ground: Planting in bare roots is done only in winter, while you can plant the trees in mound and container until spring. In bare root, shorten the roots, and soak them in a mixture of earth and compost. Plant in a hole at least 10 cm larger than the root ball, gradually putting the crumbled soil back, and tamp regularly around the roots. Water just after planting in a hollow formed around the trunk. In pots: Plant your cherry tree preferably in autumn, and possibly in spring. Find a big pot - equivalent to the volume of the foliage. Lay a layer of gravel on the bottom, then fill until the third of the container with loam and potting soil. Arrange the rootball, then add the same mixture of earth and potting mix until it reaches water. Water gradually. The flowering cherry tree tolerates a pruning better than ordinary cherry trees. It is usually sufficient, after flowering, to shorten the ends of branches, or even to remove some branches that unbalance the foliage your tree. Remove dead branches, and those that cross each over. In the first month and in case of drought, water abundantly but not too frequently, so that the roots will fetch water deeper. Water thoroughly, until the soil is wet and a small puddle remains around the tree. Thoroughly mulch the base of the young trees during the first year with wood or bark chips (or whatever you have on hand). This will limit competition with other herbaceous plants and reduce the chore of watering. If you have planted your cherry tree with a stake, remove it - it is no longer useful and could even hurt the tree!